The first in a series of hands on reviews by Bert Kanne, today he takes a look at the Mido Multifort. Mido was founded in 1918 and today is based in Le Locle, Switzerland. 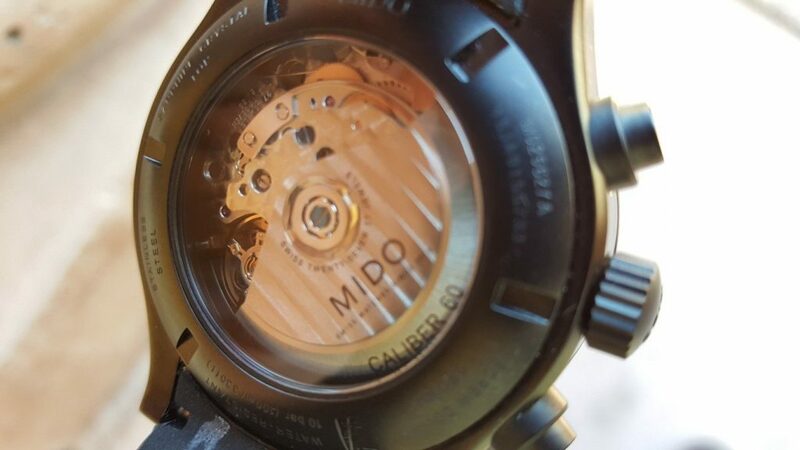 The word Mido comes from the Spanish “yo mido” which translates to “I measure”. Mido is not a microbrand technically and they are part of the world’s largest watch group, Swatch. Mido is responsible for numerous innovations in watch technology that we take for granted. 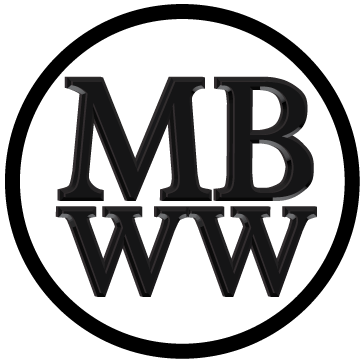 Almost 100 years later, they are a highly respected watch manufacturer of high quality, technically excellent timepieces. Their Multifort line, which dates back to 1934, was their best seller into the 1950’s. One of the Multifort models currently being offered is the M025.627.36.061.00, a two subdial automotive themed automatic chronograph with a date window, and it is a gem. The watch uses their automatic caliber 60.A05H31, also known as the ETA A05H31, which is an updated Valjoux 7753 with 60 hours of power reserve. The 27 jewel movement is visible through the screw down back of the watch (displaying beautifully finished surfaces and blue screws, I might add!) and it runs at 28,800 bph. This is a very accurate and quiet movement. The watch is 44 mm x 14.7 mm, 23 mm between the lugs and weighs only 119 grams. The sapphire crystal is flat, very slightly raised above the bezel and is non reflective. Water resistance is 10 bar. The large 9 o’clock second hand subdial moves very smoothly, something that you won’t find in typical automatic movements. The matching 30 minute stopwatch dial hand at 3 o’clock and the main second hand are both red and are operated by two pushers located at 2 and 4 o’clock. It should be noted that these pushers have a very positive click actuation which prevents accidental timing. The 3 o’clock screw down crown has a wonderful gear edge and is signed. The watch case is finished in a high quality black PVD finish. The best details on this model watch, besides the case, have to be the face and strap. The face is beautifully done with a vertical Côtes de Genève finish. Face markings are white and red with tasteful branding and the expected “swiss made” at the 6 o’clock position above the minute markers. Nine lume dots and the 12 o’clock marker are treated to a chrome like edge finish, along with the hour and minute and running second hands. The black on white date window is perfectly located above the six o’clock lume dot and is changed via a recessed button on the 10 o’clock side of the case. 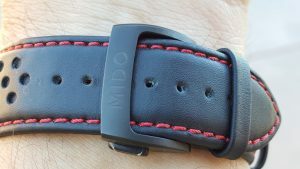 The strap fits right up to the curve of the watch case and is soft black perforated calf skin with contrasting red edge stitching. There is a tastefully signed buckle and matching folding, black PVD clasp. This type of leather strap dramatically reduces wear on the adjustment holes. 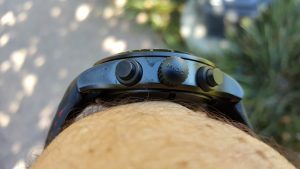 It is an extremely comfortable watch to wear, in my opinion. It is definitely a sport style chronograph watch that I would like to own and I feel it is an excellent value. 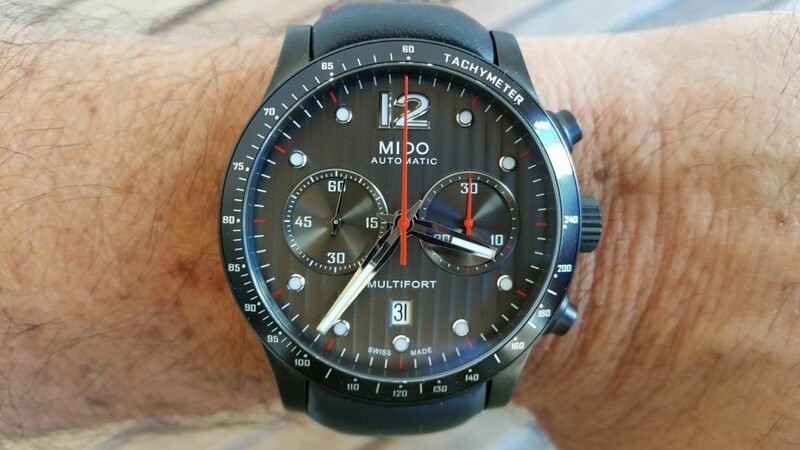 $2,130.00 www.midowatch.com.